This Hammer Car can drive around and swing its hammer down to pound whatever is in front of it. You can drive, steer, and swing the hammer all by using the single touch sensor button on the remote control. 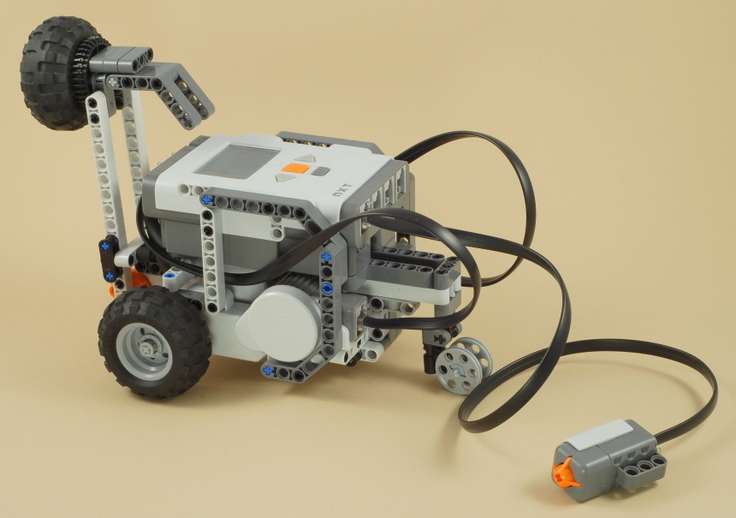 The 1-Button Remote Control project shows how you can drive and turn a robot with only one button. This project adds even another action you can do with the button, by timing the difference between a brief button press (swing hammer) and the button being held down (drive/turn).